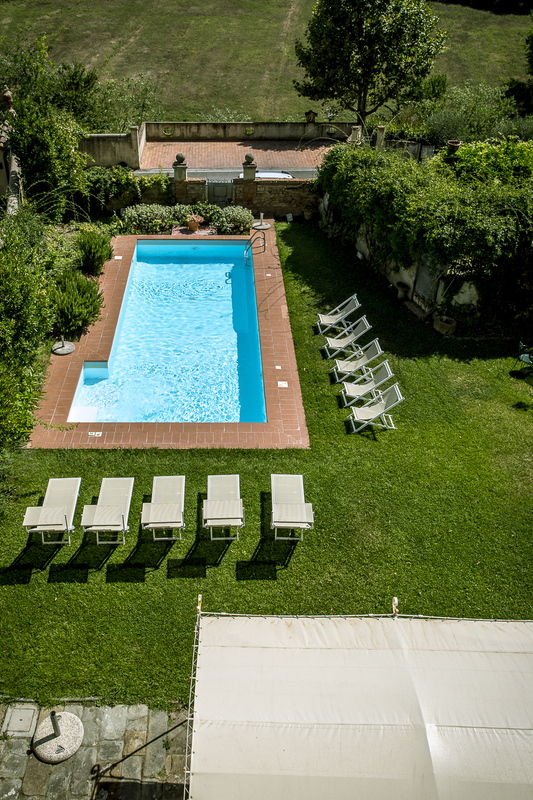 Villas with pool to sleep 30 to 40 people in Italy. Extra large villas for extra large groups of family and friends! Why are our large group holidays for family reunions and special birthday celebrations are such fun? One of our clients tells her story. N.B. The “sleeps” figure includes any sofa-beds. If you do not wish to use sofa-beds then please check the number of bedrooms and ensure that they will accommodate your party. Villa I Grandi di Toscana, near Monte san Savino, Tuscany. Luxury villa surrounded by vineyards and olive groves. Sleeps up to 33 in 17 bedrooms in 8 elegant apartments and 2 suites with private bathroom. Common room with kitchen, and pergola with tables, chairs and barbecue. Panoramic and quiet position. Air conditioning. Wifi. Set in 62 hectares. Private swimming pool, tennis court and 2 hole ‘pitch and putt’ golf. 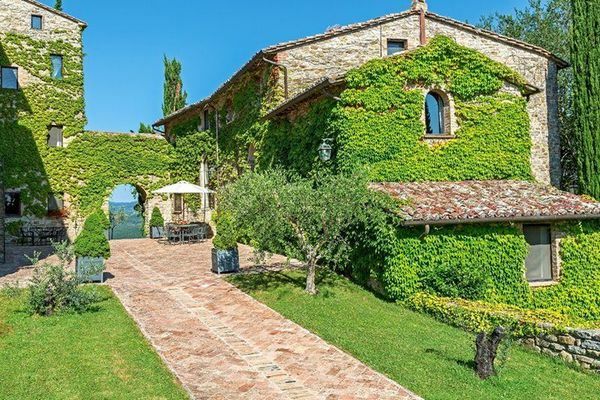 The property includes also the “San Ferdinando” winery where excellent wine and DOCG extra virgin olive oil is produced, which can be tasted and bought on the farm. Click here for PHOTO GALLERY / DESCRIPTION . VILLA RAVANO, near San Giuliano Terme . Walk to town. 500m walk from bus station, 1.5km walk from railway station. 10km from Pisa airport. Sleeps 30 – 36 people in 16 bedrooms. Private swimming pool. Games room with billiards and table football. Piano. Bicycles. Table tennis. Tennis court. Football pitch. Wifi. Garden / lawns. 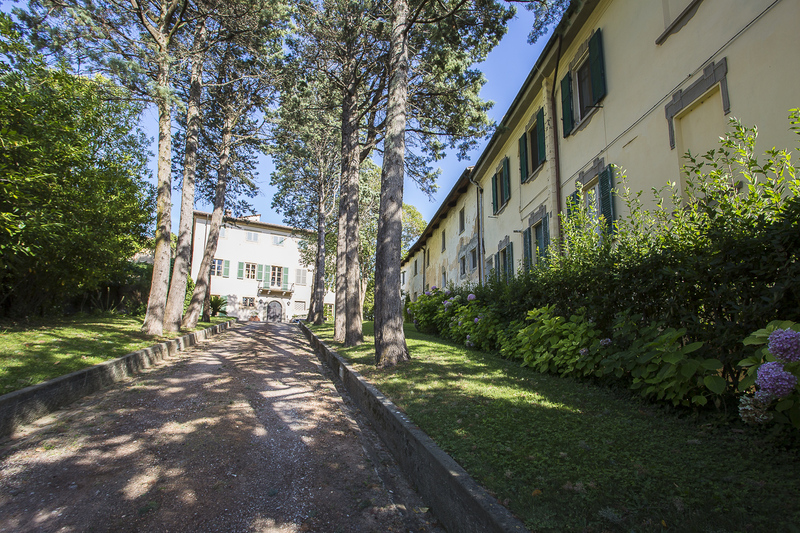 Villa Ravano – ask us for a price for your size of group. San Donnino, Ville di Corsano, Tuscany. Sleeps 31 in 13 bedrooms, 11 bathrooms. The property can be rented in its entirety for groups, in which case guests may use a large, shared common room with kitchen. Swimming pool. Il Gualdo, in the village of Gualdo, Tuscany. 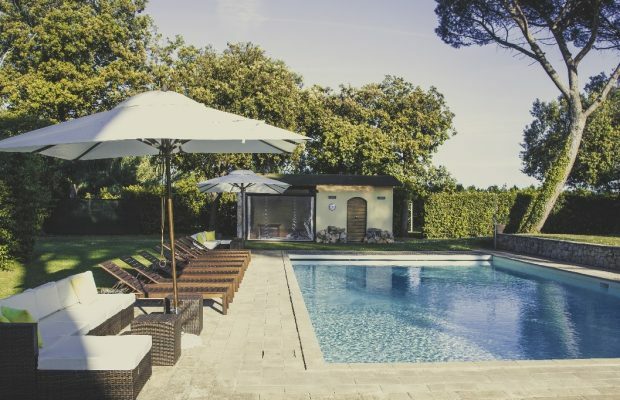 Convenient location within 15km of Viareggio, Forte dei Marmi, Lido di Camaiore, Marina di Pietrasanta and Camaiore (all well-known Versilia seaside resorts). Lucca is at 25 km. Pisa (where there is an airport) is only 33km away. Sleeps 32 in 12 bedrooms, 8 bathrooms. Swimming pool. Barbeque. Free wifi in certain communal areas. Click here for PHOTO GALLERY / DESCRIPTION. Huge independent villa + annexe. Can sleep up to 40 people in up to 15 bedrooms. Private swimming pool. Hot tub. 2 Games rooms with pool table. Table tennis. Wifi. Pizza oven. Professional kitchen. 2000m2 of gardens and terraces. 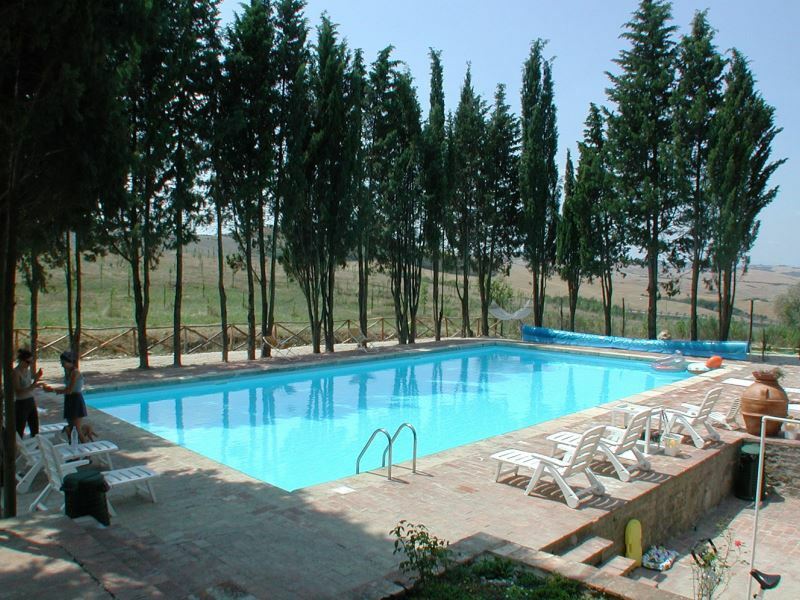 Borgo Cevoli – ask us for a price for your size of group. 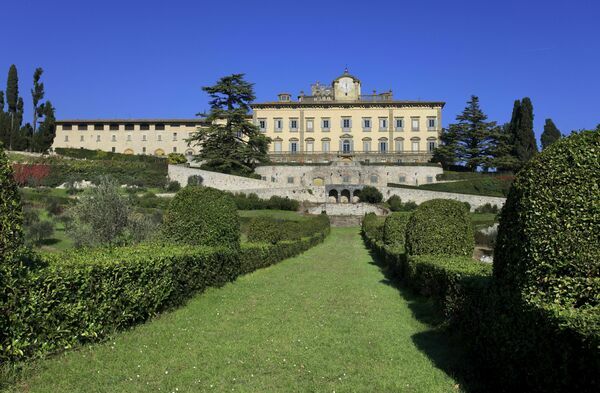 La Selva, near Florence, Tuscany. Sleeps 33 in 12 bedrooms, 8 bathrooms. Swimming pool. Satellite TV in all apartments. Castelletto, near Sinalunga, Tuscany. Sleeps 34 in 15 bedrooms, 12 bathrooms. 18th century residence in the Siena area. Swimming pool with diving board, plus children’s pool. Tennis court. 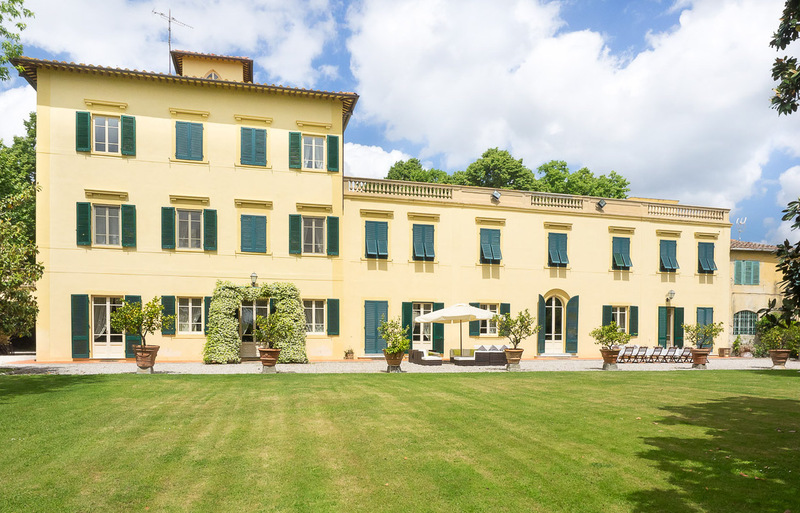 Large groups can dine together in Villa Limonaia, in a large room at the garden level. Professional kitchen on site (available on request). Wine cellar / tavern. CIVETTA, near Capolona, Arezzo, Tuscany. Dates back to 12th century. Panoramic views. Sleeps 34 in 17 bedrooms, 13 bathrooms. Terraced garden. Fenced swimming pool. On-site restaurant. Wifi internet. COLLINA, near Florence, Tuscany. Sleeps 34 in 17 bedrooms, 12 bathrooms. Swimming pool, 4 bikes, free wi-fi internet. 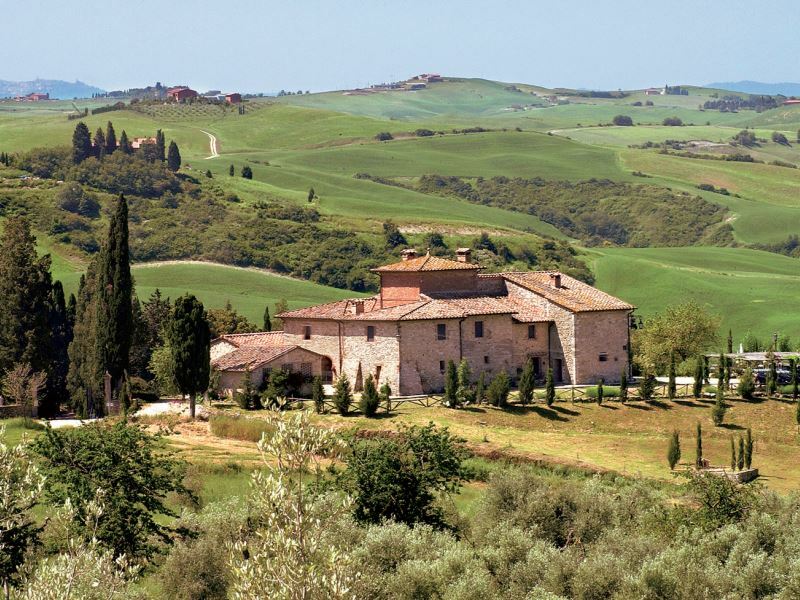 Aia Vecchia, near Asciano, Siena and Montepulciano – Tuscany. Sleeps 35 in 15 bedrooms, 10 bathrooms. Infinity swimming pool with Jacuzzi area, a charming pond with thermal water, playground for children and an ancient chapel dating back to the 14th century. Communal rooms. Billiard room. Table-tennis. Mountain bikes. Romina, near Cortona, Tuscany. Farmhouse sleeps 35 in 13 bedrooms. Divided into 5 apartments. Communal area with barbecue and large table in the grounds. Barn with kitchen and tables for hire for large group meals etc. Air conditioning and wi-fi in all of the apartments. Bicycles. 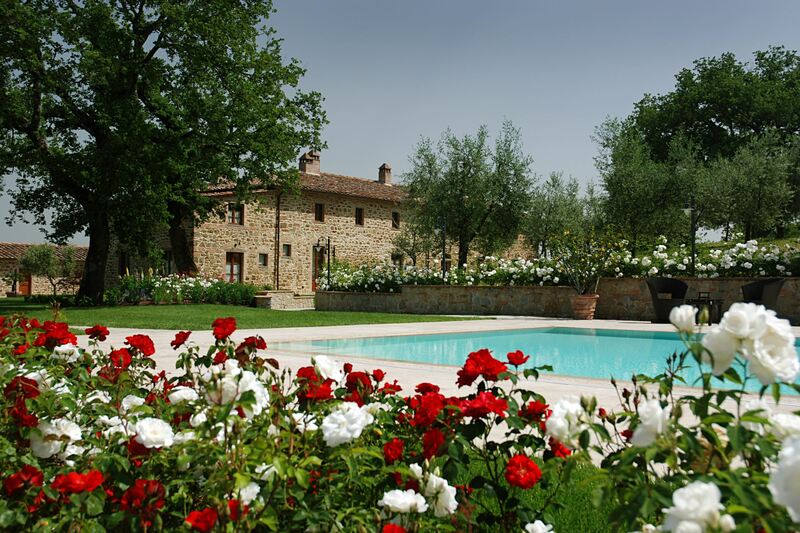 CORELLI, near Certaldo and San Gimignano, Tuscany. Sleeps 36 in 18 bedrooms, 16 bathrooms. Swimming pool, children’s play area. 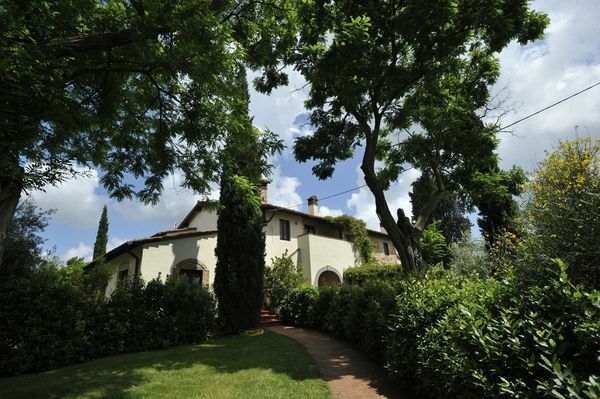 Il Nespolo, Lari, Tuscany (500m walking distance to centre of Lari with all kinds of shops). Sleeps 38 in 10 bedrooms, 9 bathrooms. Breakfast service available in a nice common room. Swimming pool. Need an even larger property? We have a big selection of multiple-unit properties – e.g. farmhouse complexes divided into apartments with pool and good on-site facilities – that would be suitable for very large groups of 50 – 100+. Please ask us here for more information, giving us details of your party size and requirements.